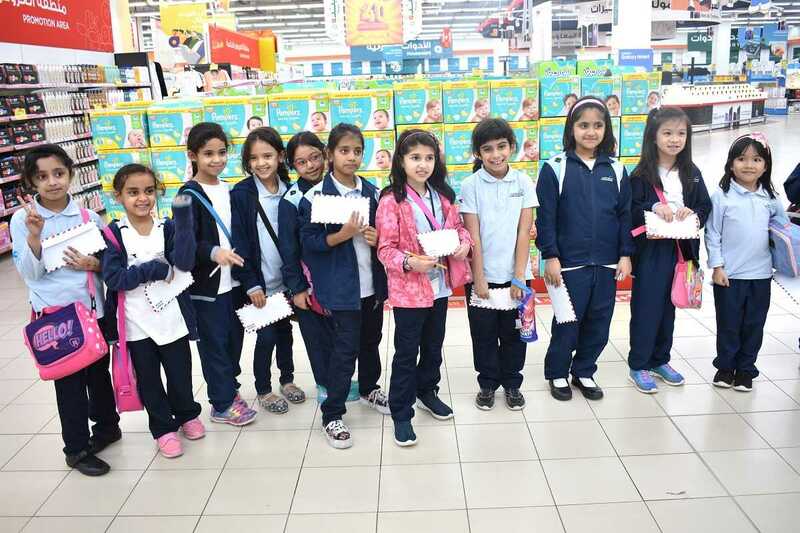 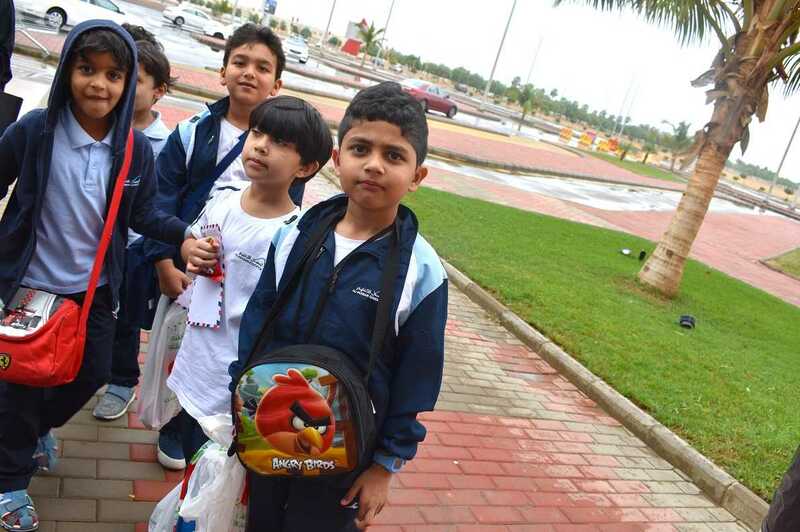 In a special rainy day, an educational field trip has been conducted for grade 2 students. 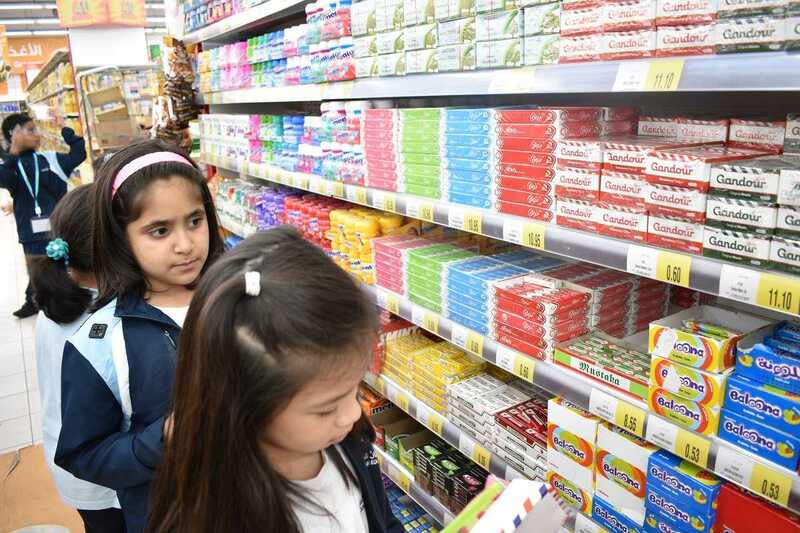 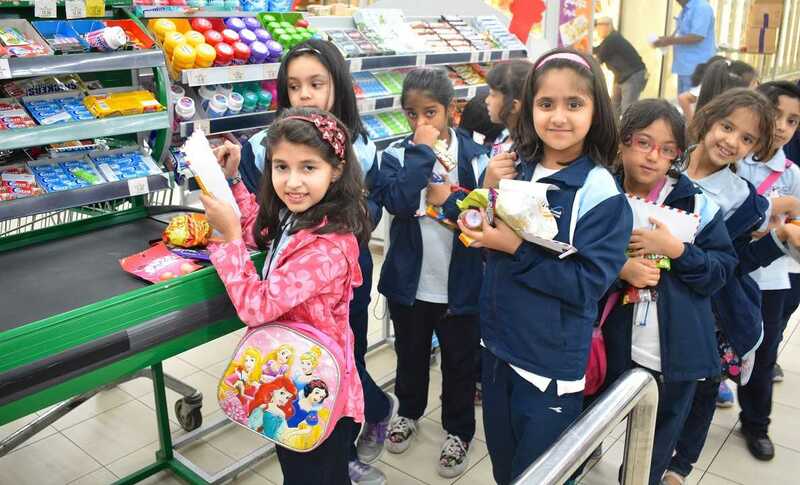 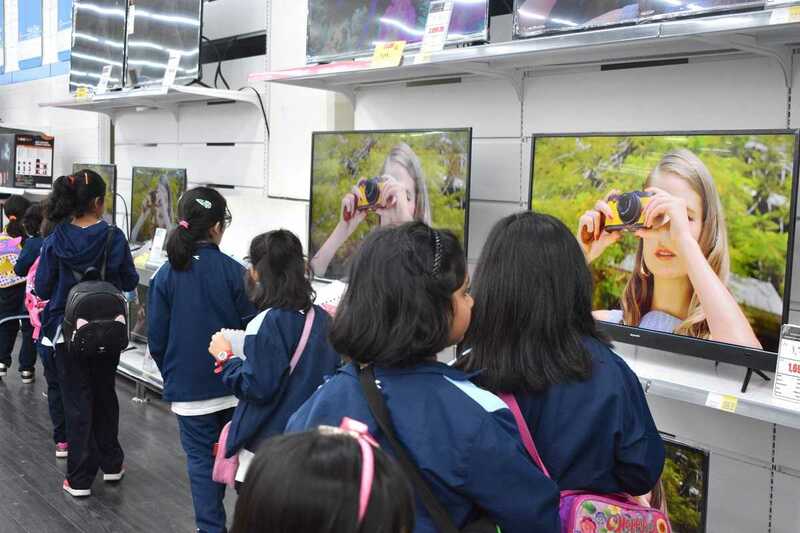 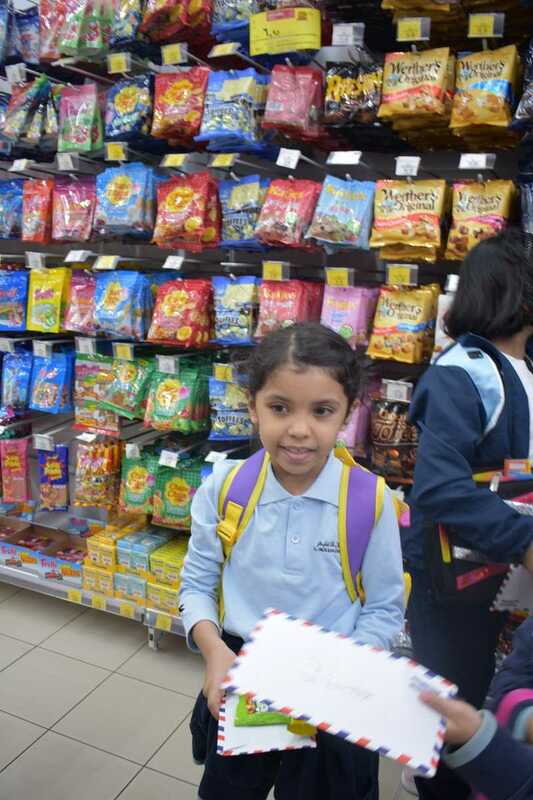 Students visited Hyper Panda Supermarket. 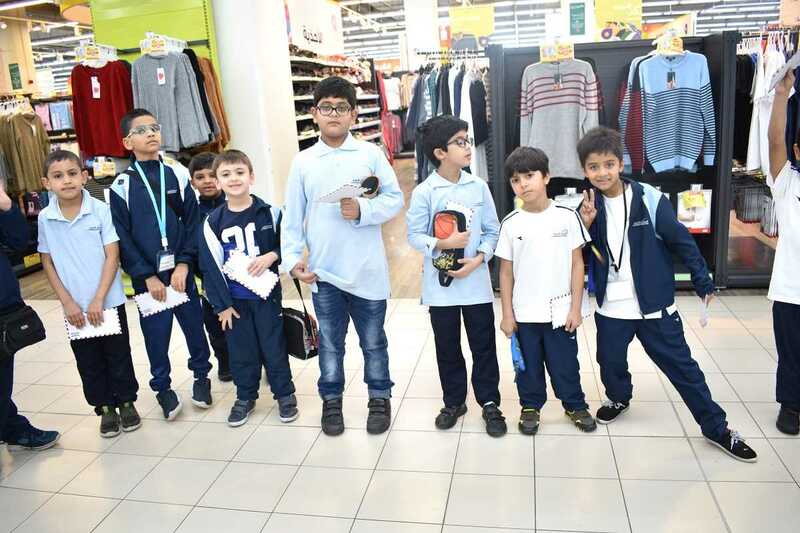 The trip provided students with a firsthand experience related to some of the topics taking from the subjects (math, social studies, ICT) for a better understanding of the concept. 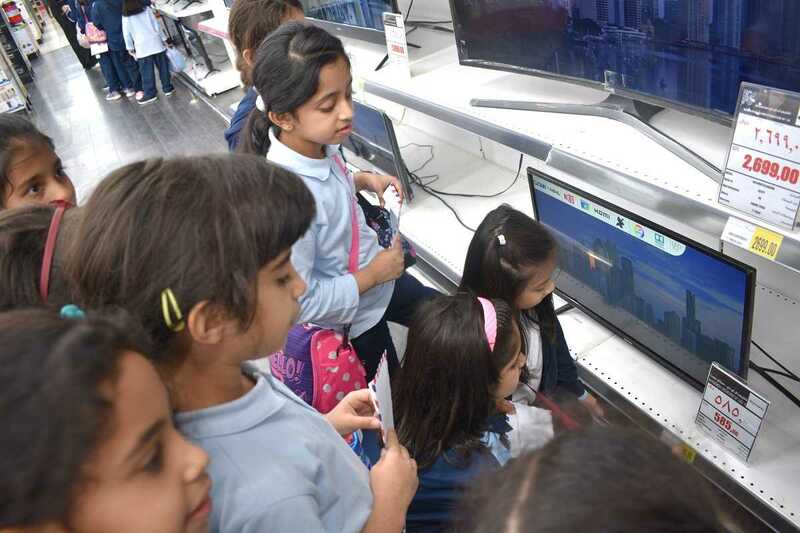 Students saw new sights and had a hands-on opportunity outside the classroom walls. 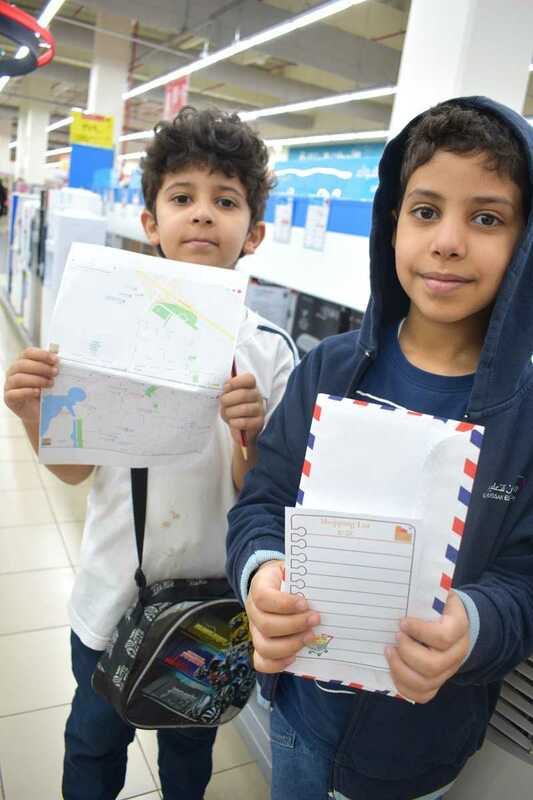 On their way to the supermarket, the teacher Ms. AlKhansaa explained to the students what a neighborhood is and what a community is. 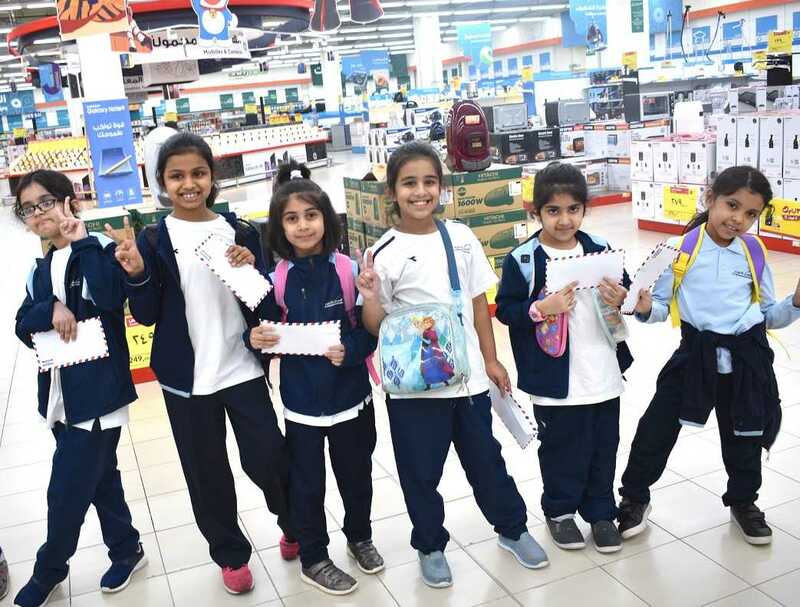 She let the students read a map using a map key. 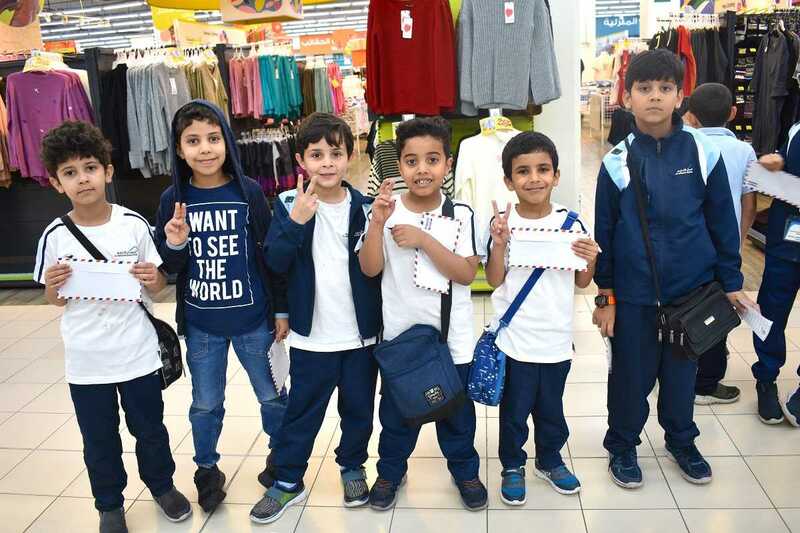 The teacher explained to them how to use place value to describe the values of digits in 2-digit numbers, how to write 2-digit numbers in word form, expanded form, and standard form and they discovered the counting sequences within 100, counting by 1s, 5s, and 10s. 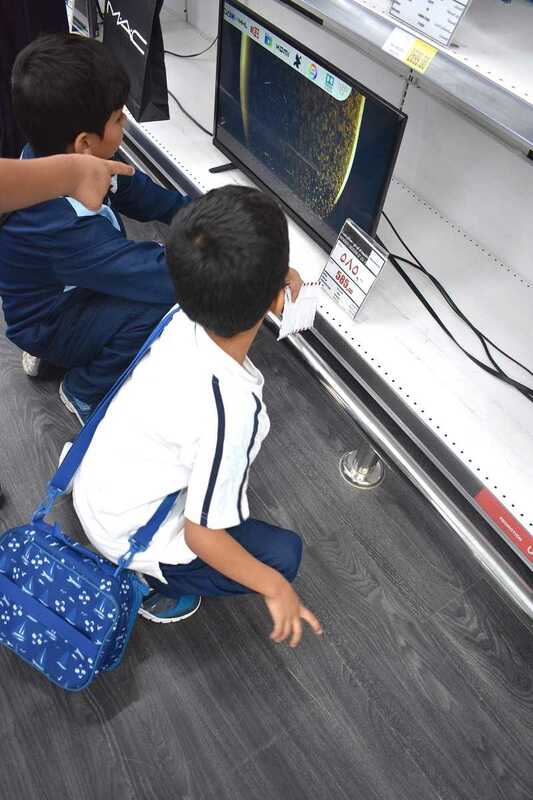 The students got familiar with the computers around us and how it is used differently. 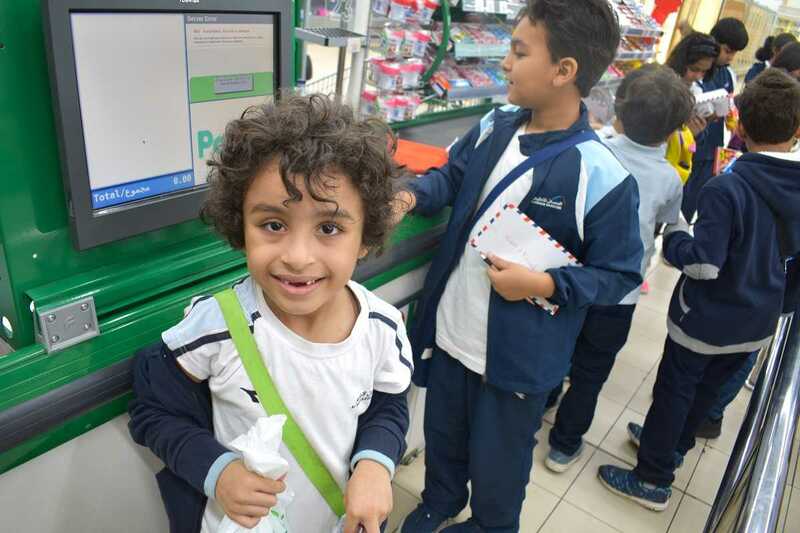 The students identified the parts of a computer used by the cashier. 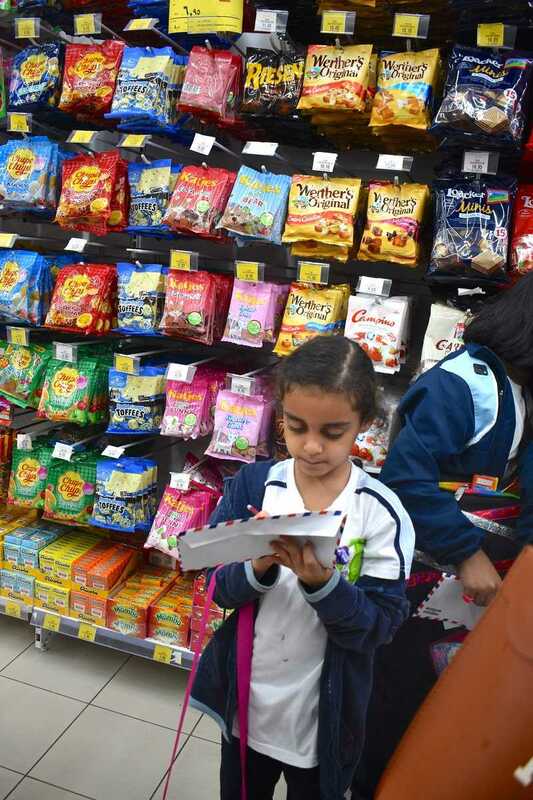 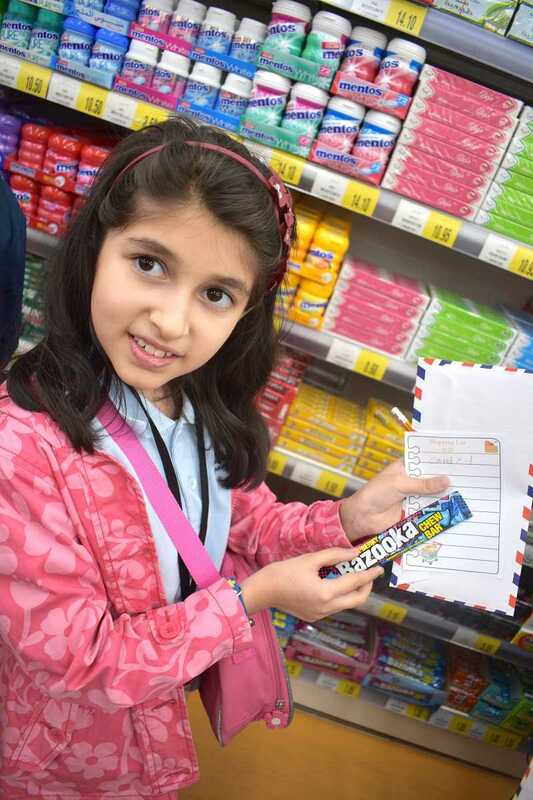 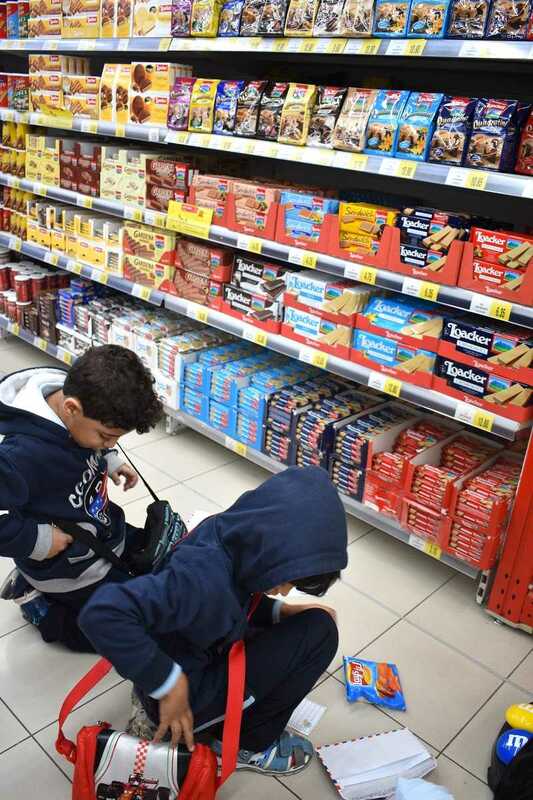 The students prepared grocery list, then choose the items that they want to buy and check the prices. 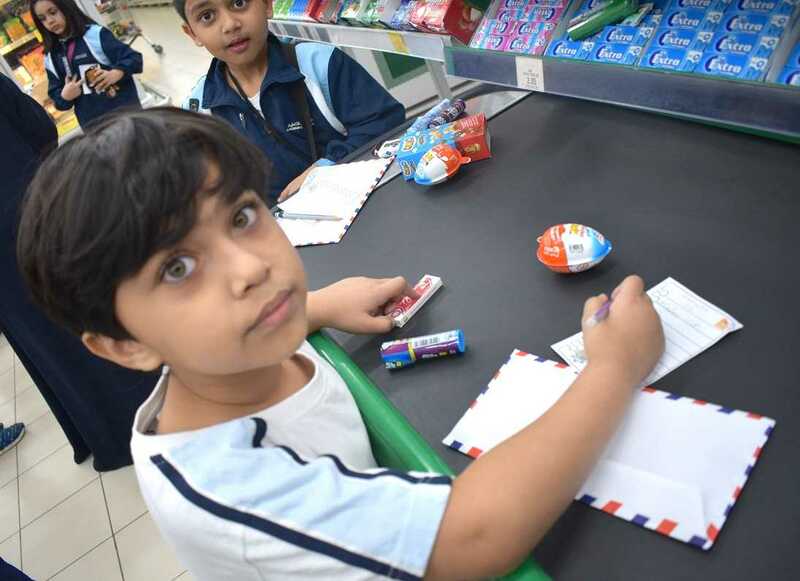 After that, they pass by the cashier for payment. 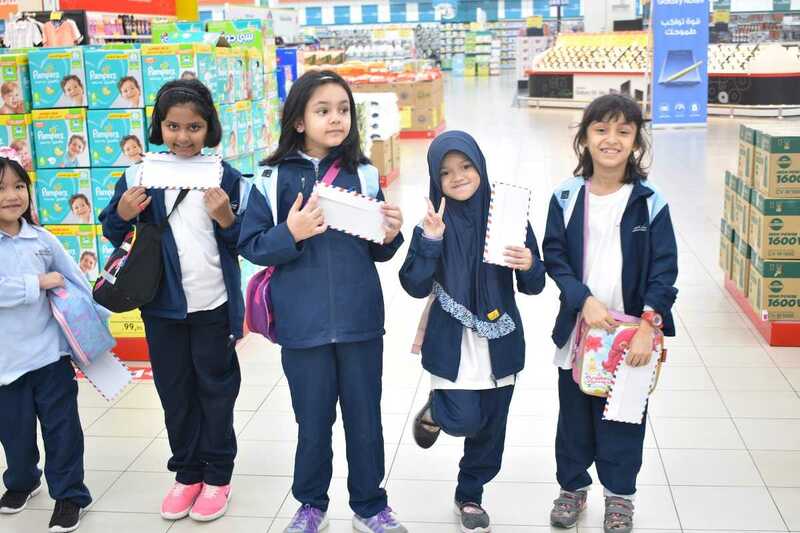 Students enjoyed their time and understand the concept from this activity.